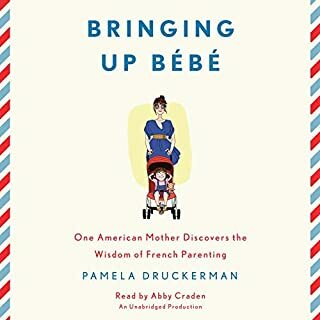 The best-selling author of Bringing Up Bébé investigates life in her 40s, and wonders whether her mind will ever catch up with her face. When Pamela Druckerman turns 40, waiters start calling her "Madame", and she detects a disturbing new message in mens' gazes: I would sleep with her, but only if doing so required no effort whatsoever. Everyone you meet looks a little bit familiar. You're matter-of-fact about chin hair. You can no longer wear anything ironically. There's at least one sport your doctor forbids you to play. You realize that everyone is winging it, some just do it more confidently. You know that it's OK if you don't like jazz. Internationally best-selling author and New York Times contributor Pamela Druckerman leads us on a quest for wisdom, self-knowledge, and the right pair of pants. 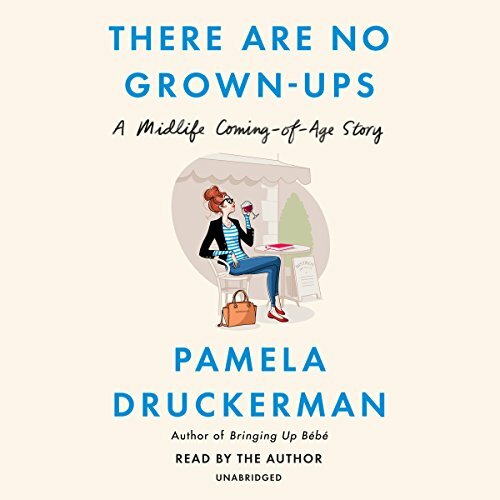 A witty dispatch from the front lines of the 40s, There Are No Grown-ups is a (midlife) coming-of-age story, and an audiobook for anyone trying to find their place in the world. This is just the book I needed as I approach another birthday in my late-40s. 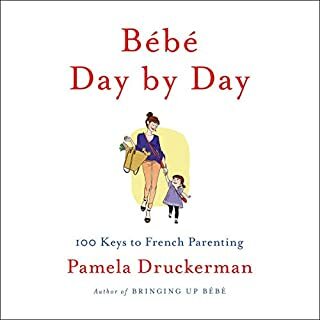 This is the first book I’ve read by Pamela Druckerman and it will not be the last! 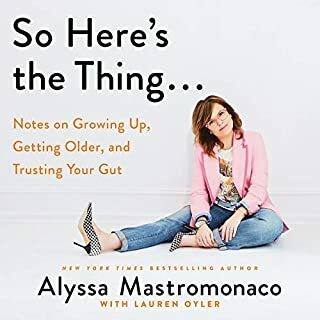 Though I didn’t relate to every scenario that she has experienced in her 40s, I totally appreciated her honesty & wittiness when maneuvering through life’s events as a 40 year old expat mother of three. Overall, I enjoyed her writing style and her narration was easy-going & made for a quick listen. Kudos to Madame Druckerman for acknowledging & accepting her own true story as good enough; a very grown up thing to do. I highly identified with most parts of this book. I liked the insight into our culture specific approaches to life and relationship. I felt comradery with the author on many points. I did not relate to her view on her marriage or bodily appearance, but that also comforted me in a sense. Thank you! 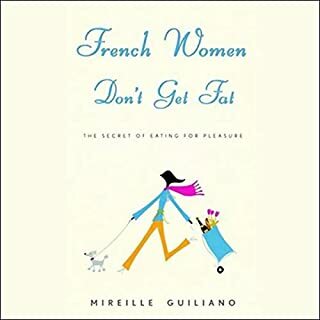 Admittedly I’m not in my 40s, so perhaps that is the problem, though I’ve read and loved novels and memoirs about women in their 40/50/60s (and connected to it...) so I'm not sure. I ended up asking for a refund, which I rarely do. Mediocre, some interesting stories. May be worth reading for some but I struggled through it trying to stay awake. 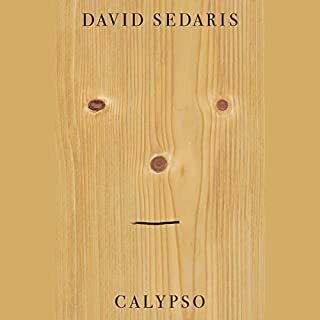 I just turned 40 and thought that this book might be interesting so I gave it a try. I was pleasantly surprised. 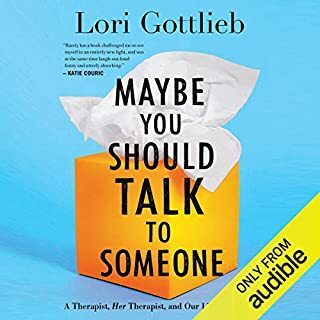 Although I do not share all of the same views or struggle with many of the issues the author does, I found much of her words relatable and I found the book quite amusing, laughing out loud in many occasions. I very much enjoyed it. I would not recommend, very vain author. Me, myself and I. This author is so self absorbed and vain. She is surprised when people never heard of her. Even when she says she doesn’t know, she is still right. This book is about her life and her personal high opinion of herself.